For crushing of a wide spectrum of a large-sized thick-walled difficultly processed waste: automobile tire covers, pipes, boxes, butts, etc. from various materials (plastic, glass, papers for recycling, bones of animals) usually use shredders. 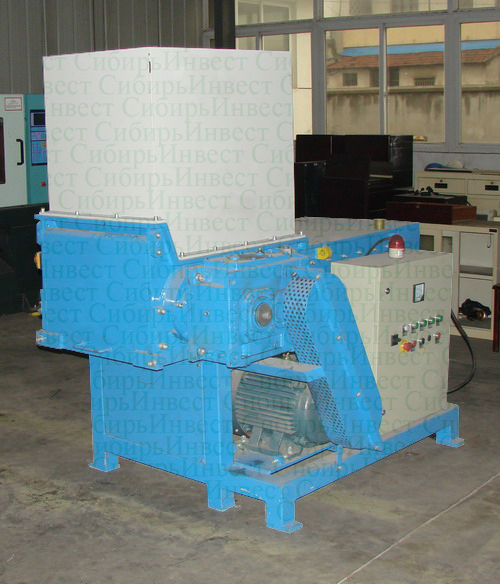 Shredders type Sh1R are single-shaft with a drive from one or two electromotors. On an exit of shredder it is possible to receive the crushed material with the size of fraction 1-3 sm.